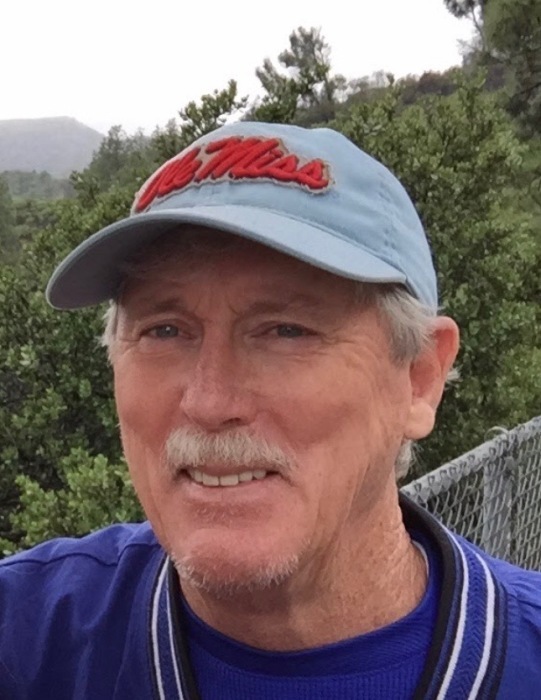 Charles Wayne Cook passed away peacefully on March 22, 2019 at Hospice Ministries in Ridgeland. Charles was born in Canton on November 6, 1949 to Reva Maxine and William Russell Cook. In his younger years he spent time on the island of Crete, Greece as a member of the United States Air Force working in radio communications. His time in Armed Forces Radio shaped his passion for music and radio. Known by family and friends as Charley, being an on-air DJ at Miss 103 was one of his biggest passions along with being a DJ for Peter Christian and Crew. He also loved being on a golf course, spending time with his family, and traveling to Oxford for sporting events at Ole Miss. Charley is survived by his wife Judy Whitehead Cook, his son Robert Russell (wife Elizabeth), daughter Sarah Kathryn Rall (husband Blake), grandson Grayson (age 7), granddaughter Emily (age 2), and his brother James Lloyd (Jimmy; wife Susan). In lieu of flowers, the family requests donations be made to the Alzheimer’s Foundation in Mr Cook’s name.